These colleges are at the forefront of technological advances. Twenty years ago, most people thought that by the year 2020, we would all be commuting to work and school in flying cars. Though we are two years from the deadline, it’s safe to say that flying cars won’t be a reality anytime soon. But that doesn’t mean we haven’t made some significant technological advances in the last two decades. 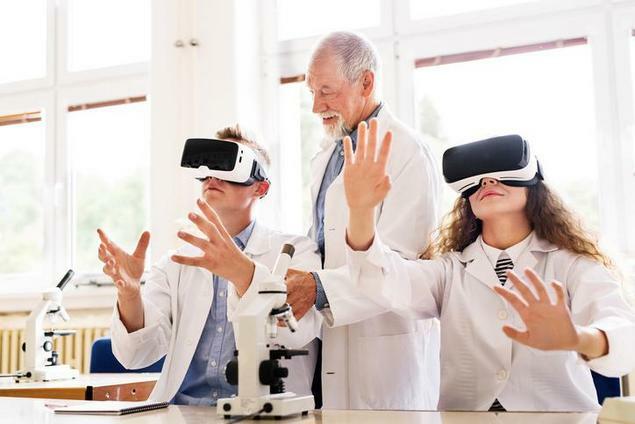 Oftentimes, colleges are at the forefront of these developments into technology, whether it’s through state-of-the-art structures, fields of study or kitschy campus amenities. That is in large part due to students who strongly desire to attend a college that not only offers top-notch technology courses, equipment and experiences, but can turn knowledge that they’ve gained of technology during their college career into marketable skills for the job search. With that, take a look at some of the most tech-wise colleges and universities in the country, according to Great Value Colleges and Buzzfeed: State-of-the-Art Facilities These days, it doesn’t matter what a student’s major is anymore; regardless, they want to see a campus that has state-of-the-art facilities. Incredible structures and technological advances go hand-in-hand on today’s college campuses. In addition to its global network of observatories and laboratories, CalTech manages NASA’s Jet Propulsion Laboratory. Also in California, UCLA Health provides its students with hands-on experience at one of the world’s best and most technologically advanced hospitals as well as a glimpse into the future with the first ever Robo-doc, EVA. But futuristic technology isn’t just available at tech-oriented colleges and universities. The Academy of Art University in San Francisco features state-of-the-art equipment, software, recording booths and film sets. All laptops for students are leased and replaced every two years, and each school is required to keep equipment and teaching at least six months ahead of current industry standards. Fields of Study and Research There are countless universities across the country that offer majors like computer science, engineering and chemistry; but there are a select few schools that rise above and beyond to separate themselves as academic and industry leaders. Cornell is one of the leading universities in nanoscale engineering and science, with fields in electronic devices, microelectromechanical devices, advanced materials processing, and biotechnology devices. Georgia Tech has always been a pioneer in technology, but now they’re embarking on even greater territory. They have specifically designed programs to bring more women into their engineering school. Washington University has over 80 courses that cover the width and breadth of technology, from business ethics to team formation, to finance and intellectual property. Kitschy Campus Amenities Universities like MIT and Wofford College utilize technology to better connect the student body. MIT offers an app to students to let their peers know wherever they are on campus at any given time, while Wofford has its own Facebook-esque site that allows students to share about themselves with a profile. Buzzfeed also highlighted some more of the advanced campuses across the country and how they’re making life easier for students. A few colleges had CVS and school supply vending machines. Others provided mobile charging stations on umbrella stands and trees outside. Finally, one school installed treadmill desks with computers adhered to the top so that students can study and get a workout. As you search for colleges and make campus tours, don't forget to ask about how each school views, celebrates and prepares their students for the future of technology.